Exposure: 10 x 9 min Luminance exposure (1x1 bin), 9 x 6 min H-Alpha (2x2), 7 x 4 min RGB Exposures (2x2). Processing: Images were captured with CCDSoft. Aligned/stacked and dark subtracted in Astroart ; Sigma Combine method was used for stacking subs. Central gradient was removed in Astroart. All channels were scaled and equalized in Astroart. Channels were co-registered in Astroart. G2V factors were applied to color channels in Astroart. The 9 minute Luminance exposures were used for the main luminance construction. 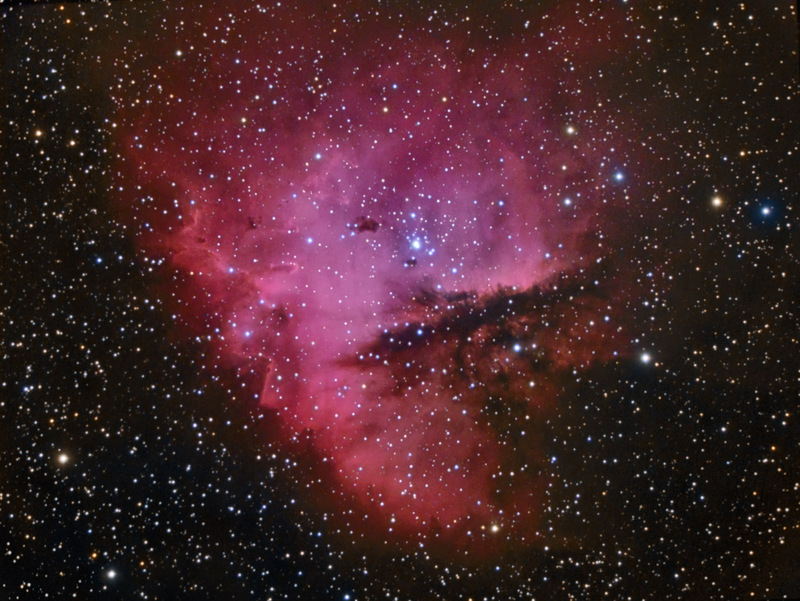 The H-Alpha exposures were blended with the luminance to add contrast to nebula features. Level adjustments and curves were used to bring out object features. LRGB combine was done in Photoshop. Color balancing was applied to nebular regions with a star mask. Sharpening was done on the luminance channel. Final touches and color balance tweaks in Photoshop. Final Image size is approximately 3352x2532 (resized to 2400x1801). Image center is located approximately - Equatorial 2000: RA: 00h 52m 59s Dec: +56°37'19"